An Army MQ-1C Gray Eagle sits on a runway at Fort Huachuca, Ariz. By 2018, the Army expects to have tested and deployed what is called the Improved Gray Eagle which will first be deployed to U.S. Army Intelligence and Security Command and U.S. Special Operations Command formations. The Improved Gray Eagle will have an extended range configuration for more endurance and will have a larger fuselage to provide more space for sensor operations. The Army is working toward a universal control interface for unmanned aircraft systems, or UAS, that will help operators pilot more than one type. 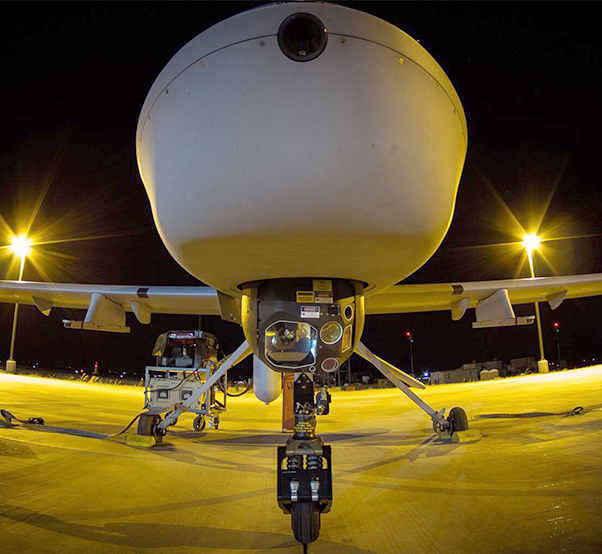 “Probably one of the biggest and most impacting changes that we’re looking forward to in our strategy is that of a universal operator and a universal control interface,” said Col. Paul Cravey, Training and Doctrine Command capability manager for UAS. Currently 15W soldiers are trained on a singular platform, either the Shadow or the Gray Eagle, he said. “Once qualified on that universal interface, they then can control the assets that are apportioned to the brigade combat team or the ground commander who is being supported in that environment,” Cravey explained at an Association of the U.S. Army “Hot Topic” forum on aviation, Jan. 14. “We look for that universal control interface to be scalable, tailorable and modular so it might be in an Army Intelligence and Security Command formation, inside a Tactical Operations Center or permanent base, maybe in a Joint Light Tactical Vehicle or the cockpit of an Apache,” he said. “We’re working the interface, building both a government-developed option that works on current materiel while considering alternatives that might be tailorable off-the-shelf to our current products. 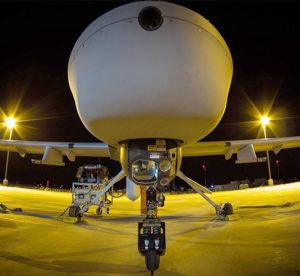 By moving to TOGA, or Tactical Open Government Architecture, the Army will also be able to reduce the number of 15W’s and at the same time allow those operators the capability to control whatever small UAS is in their air space, said Col. Courtney Cote, project manager for UAS, Program Executive Officer Aviation. 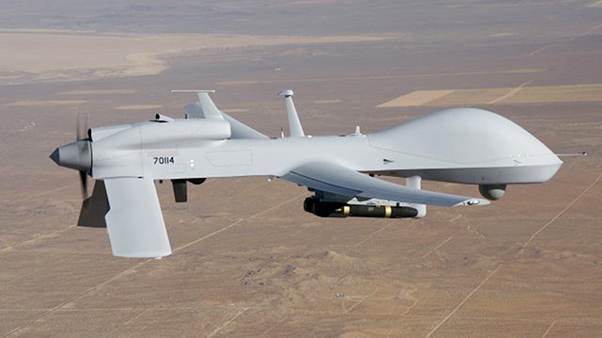 A current MQ-1C Gray Eagle in flight will be replaced the the Improved Gray Eagle by 2018. 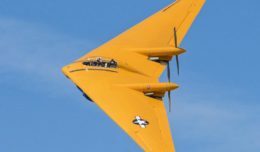 “TOGA is something that will allow us the opportunity to integrate smaller UAS and control it and also put that on the Soldier and help define some of the boundaries between us like Net Warrior and some Soldier-born sensor things that are evolving now at the Maneuver Center,” Cote said. Cravey added that TOGA should be in the hands of war fighters in the next couple of years and will control all small UAS. He also said the Raven and the Puma continue to be the Army’s basic small UAS. A short-range micro is currently in development as well. He added that the Army was also teaming with the science and technology community to build both large and tactical UAS with a focus on runway independence for vertical take-off and landing. Also being looked at is survivability, both from an audible signature side of the house as well as in a GPS-denied environment and multiple weapons options. Turning to what’s called the Improved Gray Eagle, Cote said it’s an extended range configuration which provides more endurance, has a larger fuselage to provide more space for more sensor options as well as capacity to carry more take-off gross weight. The Improved Gray Eagles are expected to be on the production line in 2017, Cote said, adding that testing will be done between now and then. “Our future strategy for UAS is on closing out current capability gaps and increasing options for commanders,” Cravey said. “UAS are not only a part of Intelligence, Surveillance and Reconnaissance now, they’re an integrated part of our combined arms maneuver in the Army and currently deployed through our formations from echelons above division to BCTs and combat aviation brigades,” he said at a recent Association of the U.S. Army professional forum on the future of Army aviation. Cravey said that the improved Gray Eagle being fielded to Army Intelligence and Security Command formations has increased endurance time of nearly 40 hours, additional payload capacity and will be easier to maintain.